A concrete cove base can be seamlessly integrated into the concrete flooring system, eliminating corners or hard to clean areas where debris and bacteria can accumulate. When sanitation is an issue, Concare can create a concrete cove base that can reach 4, 6, 8, 12 or more inches up the wall, with many options for its shape, radius and integration with any wall system. And for vertical protection greater than 12 inches high, Concare can even help you create a cove base wall treatment solution to keep sanitation at its peak. 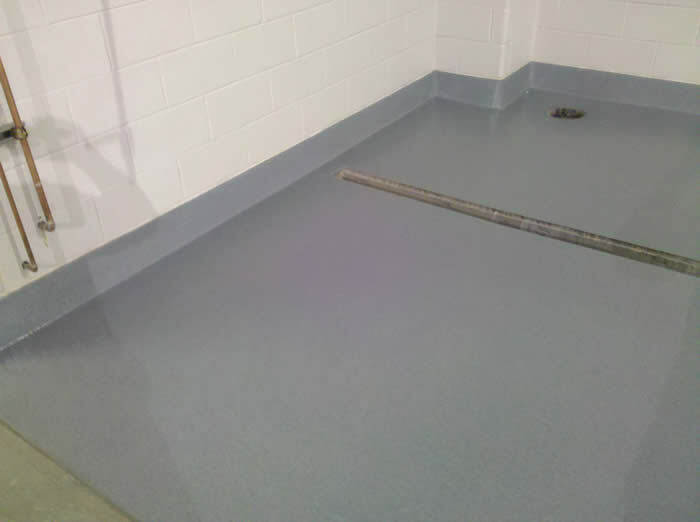 Concrete cove base applications are best suited for food facilities, pharmaceutical, chemical facilities, showers and bathrooms, and any facility where wash downs of equipment, floors and walls are essential. Concare has installed concrete cove bases in hospitals, medical device facilities, pharmaceutical facilities, beverage companies, chemical companies and kitchens all around the Midwest area, all as part of a sanitary solution to help control bacteria, fungus, lysteria, salmonella and other microbes. Contact us about installing a cove base to eliminate tough to clean corners.